The studio apartment has private balcony garden and private entrance. 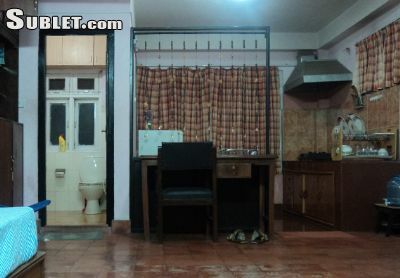 One double-bed, 1 private bath (solar-heated shower and toilet), 1 clothes closet, 1 fully furnished kitchenette with sink, small refrigerator, cabinet space, and 1-burner stove. Perfect for but couples have lived comfortably several time. The studio apartment is in the top floor of three storied building. It is centrally located but still in a quiet lane with relatives living in the neighborhood. 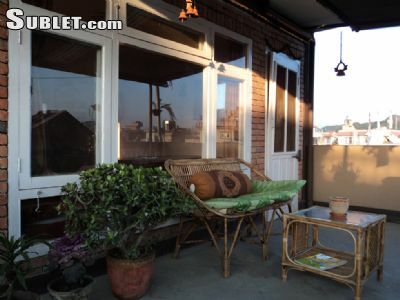 It is 7 mints walk north of Thamel - tourist center of Kathmandu. Local transportation, ATM & bank, departmental stores are all in walking distance. We are half an hour (2.5 km) from World Heritage site of Swyambhunath and Kathmandu Durbar Square. One can go for day hike and birding in Sapuri Nagarjuna national park, which is just 2 km north. 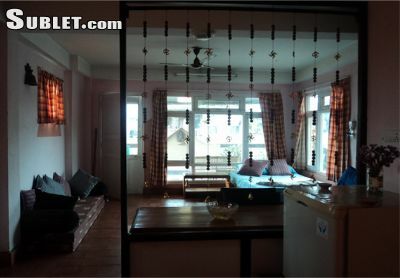 We are government registered homestay in the safe and friendly neighborhood with relatives and houses around. In the bustling Kathmandu, we are trying to maintain little greenery and eco friendly lifestyle. We compost our waste, use minimum or less plastics and do the rooftop and vertical gardening. We use solar energy for hot water and back up lights also filter and harvest rainwater.